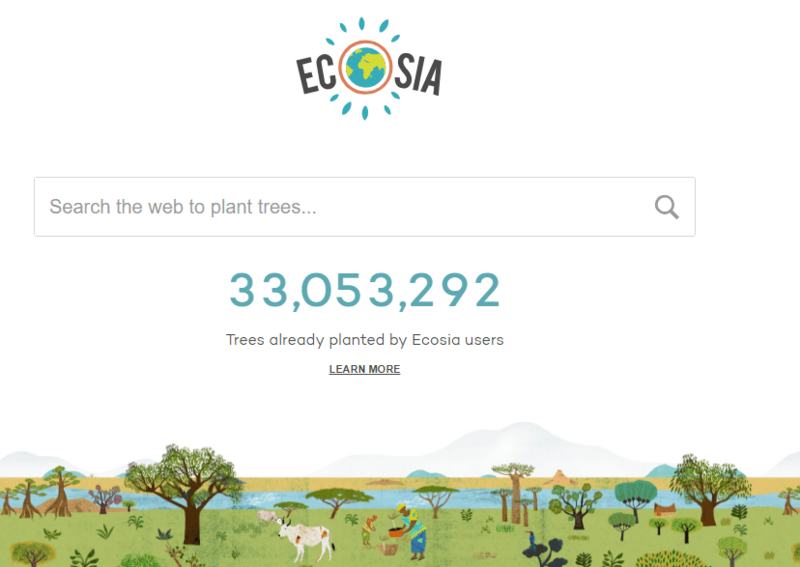 Ecosia is a search engine that uses 80% of their revenue to plant trees. Simply use their search engine a few times a day to make an impact. Read more below. Chinese proverb: When is it the best time to plant a tree? 20 years ago. Second best time, today! This is also true with Ecosia. If you would have used the search engine for a couple of years, you would have helped plant thousands of trees. Too bad we didn’t, so let’s start today. Ecosia uses 80% of their ads revenue to plant trees. We as users can simply go to Ecosia.org instead of Google.com or Bing.com to perform our searches. That’s all we need to do to have an impact. No signup, nothing. sign up with Ecosia and track how many trees you’ve planted over the course of months/years. set Ecosia as your default search engine. Ecosia is a great example of creating a product that can be seamlessly integrated into people’s lives to create make an impact. Side note: We do find Google gives better search results. So we do need to search for Google in Ecosia. But that’s perfectly fine with us. The pleasure of doing good every single day outweighs the occasional extra search query. Here’s a nice little video. Gotta love the accent. Do you Love, Like or Dislike Ecosia? Let us know in the comments below! Donate rice while learning a new skill or language on FreeRice. More than 95 billion grains of rice have been donated.